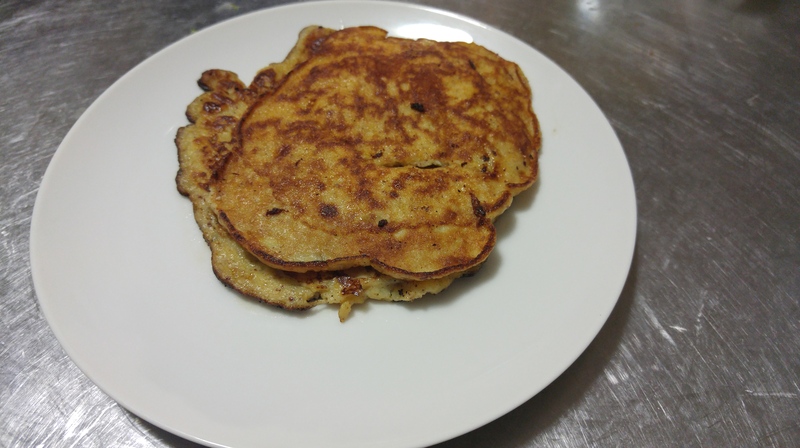 How do you make pancakes without flour? That was my first question when I came across this recipe on the internet. This recipe intrigued me because I imagined pancakes to be fluffy and doughy. 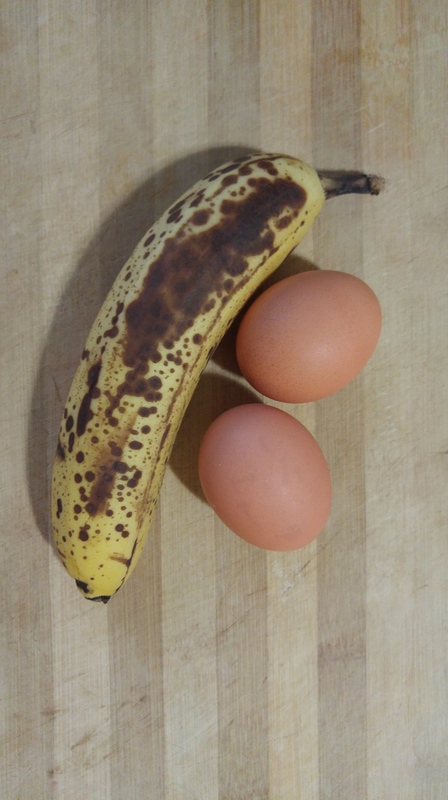 Not something I would think eggs and banana would create. 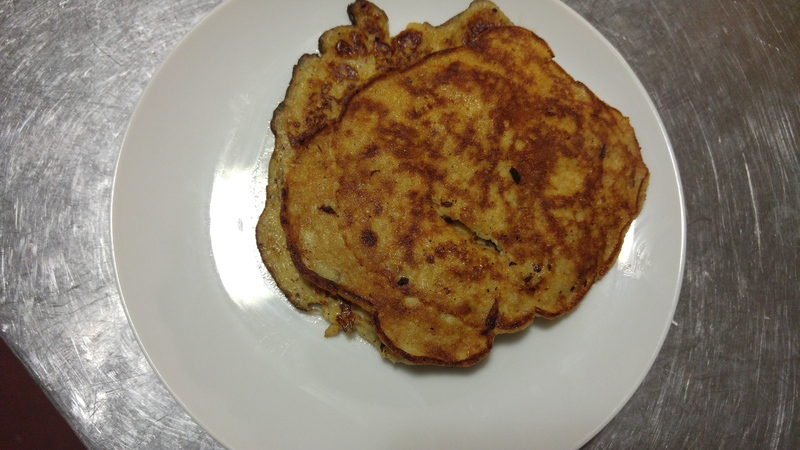 To create these pancakes, you need 1 banana and 2 eggs. You can also add some of your favourite pancake ingredients. I added cinnamon to my pancakes. 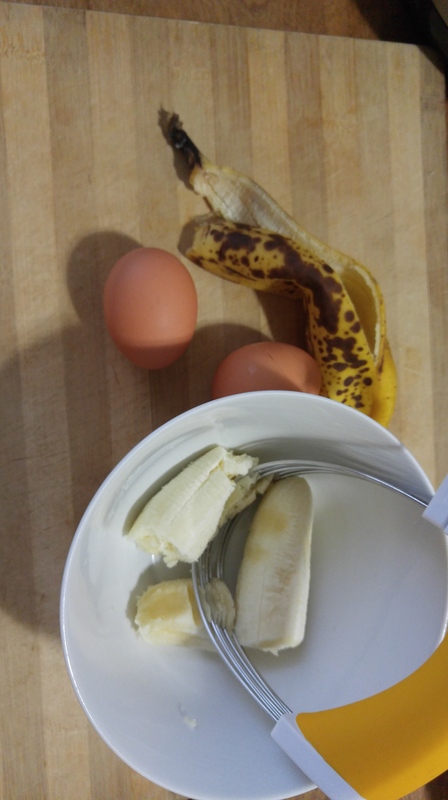 Start by mashing up one ripe banana using a fork or a pastry cutter. Make sure to really get rid of all the chunks. 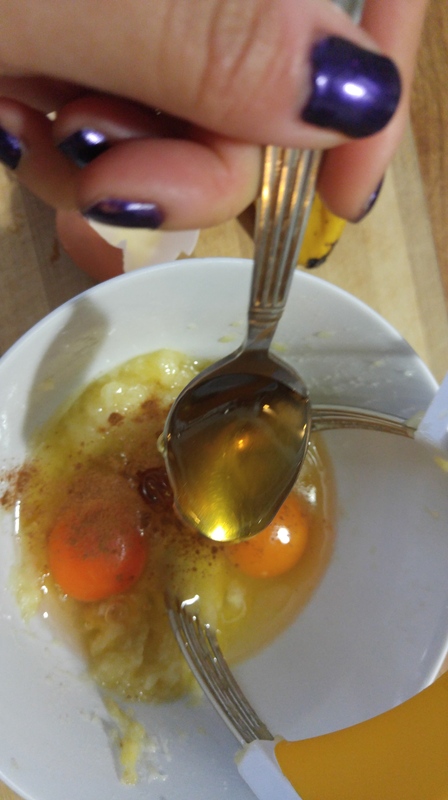 Add the two eggs, a dash of cinnamon and a teaspoon of honey for sweetness. 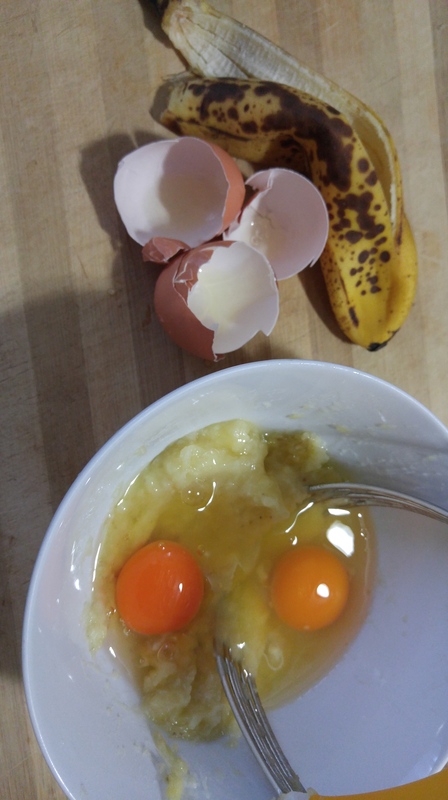 Mix it all together to get the “pancake” batter. 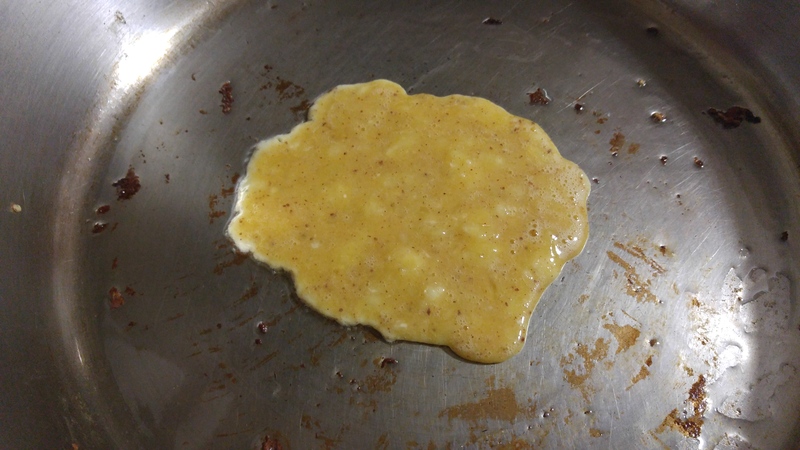 It looked more like scrambled eggs than pancake batter but I still had some hopes for it. 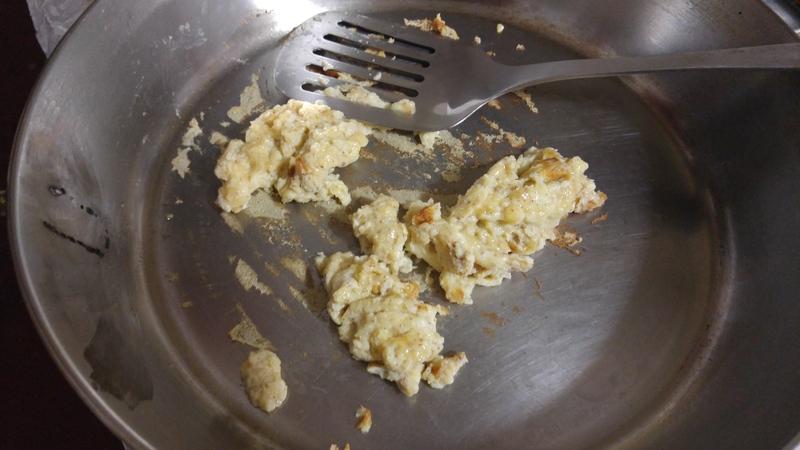 My first attempt at cooking the pancake batter ended up with some scrambled eggs. The pan was too sticky (not enough oil) and the temperature was too high. During the second attempt I added more oil and turned down the heat. I treated the cooking like I was making an omelette. I wanted to make sure the batter was cooked enough to be able to flip it so thats why its important to cook them at a lower temperature. 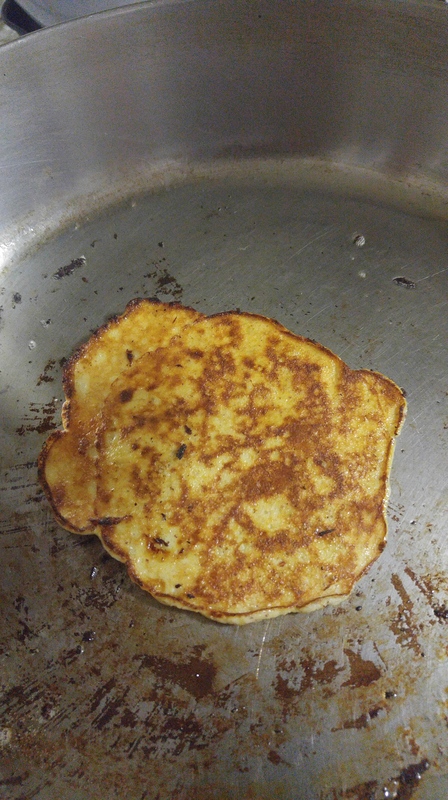 I also created smaller pancakes since I had such a difficult time turning it over. After a couple of minutes, the edges started to brown and I could see bubbles forming. I carefully flipped it over and success!! I cooked the rest of the dough and they turned out pretty good. The true test was the taste. They looked like pancakes but did they taste like pancakes?? I had a bite and to my surprise it tasted alright. Not what I would consider a pancake but more of a sweet egg omelette. I would make this again but maybe as a sweet scrambled egg. Give it a try and maybe you would like them too!